This legislative session is a busy one for champions of ‪#‎LGBT‬ equality in Illinois. With proposed legislation and a budget impasse that has the ability to significantly affect many in our community, now is the time to tell lawmakers where we stand. 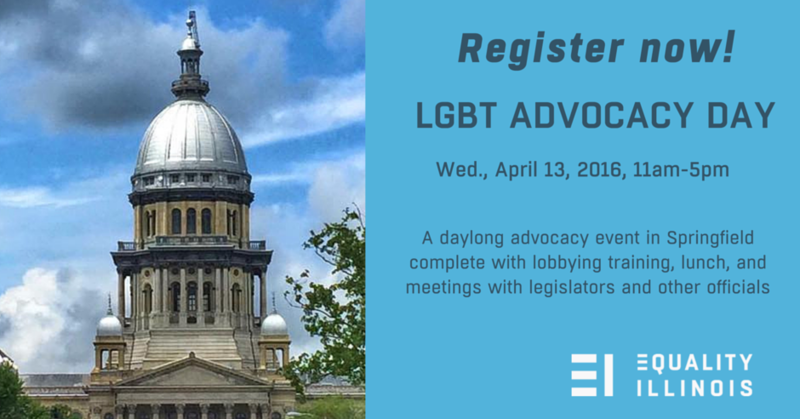 Join us on Wed., April 13, from 11:00 AM to 6:00 PM for Equality Illinois’ LGBT ADVOCACY DAY.